Setting new standards for safety, quality and the environment. The safest way. This is our mantra. Yes, we thrive on a challenge. But never at the expense of safety. It’s so deeply ingrained in our culture, that it sits at the heart of everything we do, every minute of the day. Our philosophy on safety is simple. It’s our number one priority whenever we approach a job, no matter how big or small. Whether it’s keeping our own people safe, or the people in and around your properties. We’re fully accredited to the Occupational Health and Safety (ISO18001) standard, have a division dedicated to testing and assessment and even employ three full-time health and safety managers across the business. Our seamless range of specialist services offers many benefits to our customers but none of this is meaningful without a robust foundation of quality. So that’s why we are fully accredited to the universally recognised ISO9001 standard. Our responsibility for quality is something that is owned by every person, within every division and in every location. The team are competent and proactive and the College considers that the contract is managed well and represents good value. NSS has proven to be a great service partner for ISS. 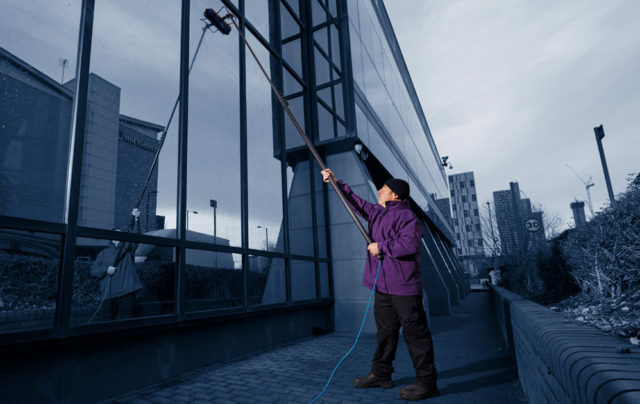 There are notmany window-cleaning and maintenance companies around that have their infrastructure. They have a national coverage, proper proof of delivery, an effective scheduling tool and a refreshing honesty in the way they work with us. Having had difficulties with previous contractors due to the shape & access issues of my building it has been a pleasure to find such a reliable firm as NSS. For me, it’s important to be able to fully manage projects, including micro details of contractors, and report internally and back to clients. Regular and detailed communication is a real bonus on top of a job well done. This professional and systematic approach has resulted in NSS recently being awarded the high level cleaning contract at Heathrow Terminal 3. I have instructed & monitored the service delivery of various maintenance and high level cleaning contractors. NSS are a breath of fresh air, I would recommend them. It’s a level of professionalism that’s not always encountered in the industry. Delivery is always efficient and to a high standard. NSS have proven to be a very knowledgeable and consistent service provider. They are open and flexible and have a can-do attitude. We would recommend their services without hesitation. I always dread the days when the phone rings to tell you that one of your properties has an issue. 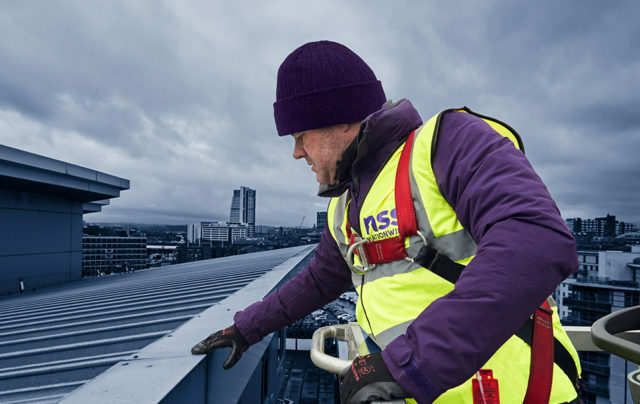 We recently used NSS to complete some roof works on one of our properties. Knowing I can get a fast, efficient response 24/7 gives me peace of mind. We understand that, uncontrolled, some of our operations may have a detrimental impact on the environment and are therefore proud to be certified to the ISO 14001 environmental standard. The certification demonstrates our commitment to embrace our responsibilities. Both on site and behind the scenes we take an environmentally-friendly approach to all of our operations. We owe our success to our people. So that’s why we support our talented colleagues with comprehensive health and safety training as well as wider development opportunities. All new operatives receive Health and Safety training before going on site and receive regular refresher training ongoing. 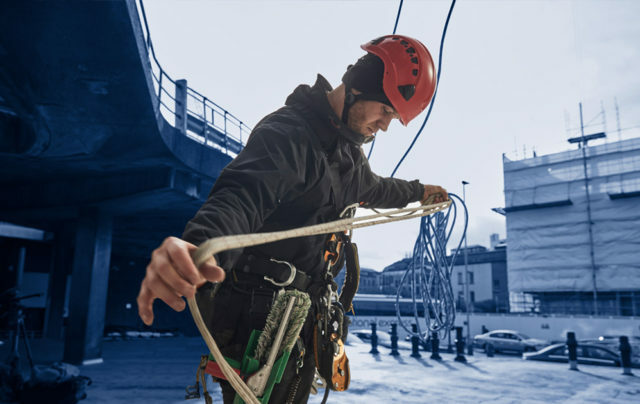 Operations directors and managers are either IOSH or NEBOSH accredited and qualified whilst rope access operatives are trained by IRATA.